At the annual Consortium for Computing Sciences in Colleges northeast regional competition, 30 teams were given three hours to solve six problems. The first, titled the Sands of Time, asked for a program to determine how long it would take grains of sand to drop from the top beaker to the bottom beaker of an hourglass, using a measurement of grains to rate. Some teams lost an hour or so trying to pin down a solution. Based on their accuracy, speed and the ability to determine what was not worth spending time on, Saint Rose tied for second place in the recent regional competition held at College of Holy Cross in Worcester, Mass. 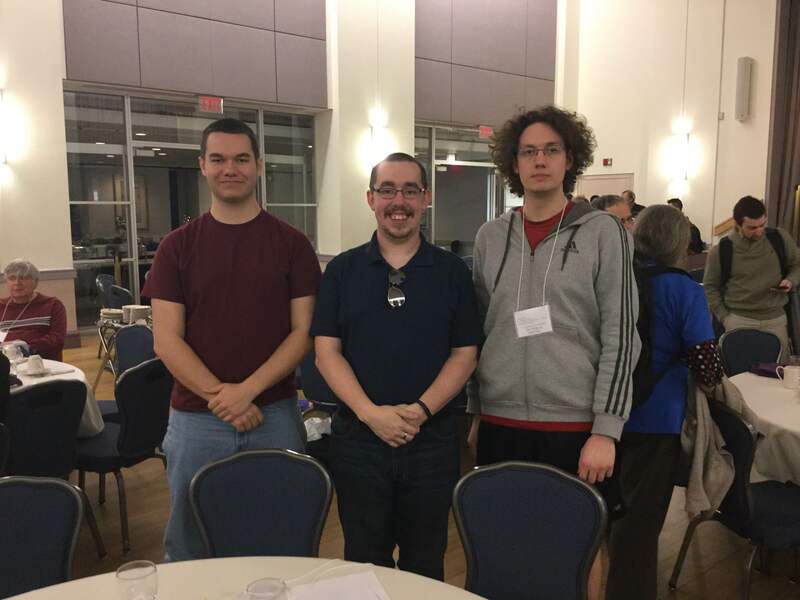 The team, made up of juniors Scott Whitney and Rains Jordan, and senior Chris Lovell, netted a personal best for the College in the CCSCNE competition and also beat out many powerhouse teams that are accustomed to claiming the top spots. The impressive outcome not only reflects the strength of the College’s growing computer science program, but also the benefits of a new class in competitive programming. In contrast to more traditional programming, competitive programming arms computer science students with tools to handle a flurry of problems quickly, as they would do on the job at a bank, or hospital or government agency. “We treat the class as a game and it’s fun,” noted Teresco, who teaches the course, along with Assistant Professor Mark Gilder. “But it is designed to test skills that are important to use in the real world.